It is incredibly easy to buy a new domain name these days. You simply go to the website of a domain registrar and follow a few simple steps to buy a domain. It’s as simple as buying any other thing online. I personally buy all my domains through NameCheap, which is one of the top domain registrars and very simple to use. You can use their search box to see if a domain name is available, then buy it in a few quick steps. That being said, finding the absolute best domain for your site is not as simple as just buying whatever comes to your mind first. Your domain name is often the first thing your visitors and potential future customers see, so you need to make a great first impression. You also need to do some homework to make sure that your domain isn’t tainted with bad links or a questionable history. If you follow the list below, then it will be much easier for you to make your site popular and get a lot of traffic to it. 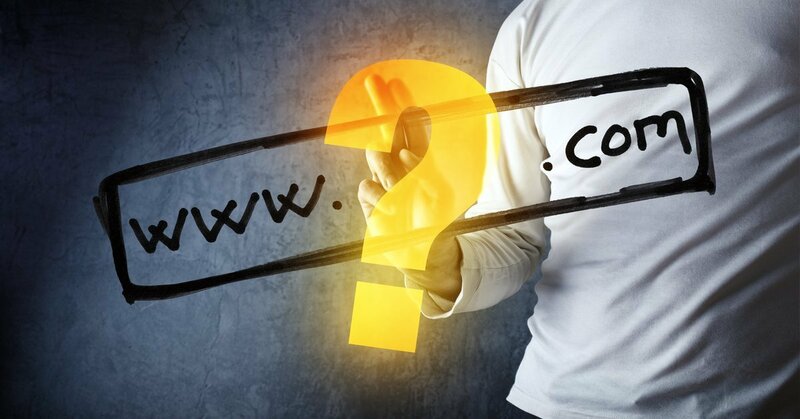 Here are 12 tips that will help you buy a great domain name. The domain extension is the last part of your domain name, the part that comes after the period. This is also called the top-level domain (TLD). If your site is in English and intended for a US-based or global audience, then it is best for you to choose a domain with the .com extension. You could also use .net, .org and even .co, but most people are used to sites having a .com domain extension. This is often more trustworthy than having an unfamiliar domain extension and is more easy for people to type and remember. In addition, rare and unusual domain extensions (like .info or .club or .xyz) are often associated with spammy and low-quality sites. If your site is in a particular language or aimed at a particular geographical area, then it makes sense to use a local domain extension. For example, .co.uk for a site in the UK, .in for a site in India, etc. If you do choose a .com domain, then you could also buy the .net, .org and .co versions if they are available. This can help prevent someone from trying to impersonate your site in the future. The main downside of using a .com domain is that most of the good ones are already taken. So it can take some work and brainstorming to find a good one that is available. Bottom Line: The domain extension is important, with .com being best for US sites and a global audience. It is better to choose a local domain extension if your site is not in English or intended for a specific country. Have you noticed that most of the world’s biggest websites have short names? Examples include Google, Facebook, YouTube, and Amazon. I personally don’t think this is an accident. Brands with short and catchy names are more memorable and seem to have an easier time catching on and spreading via word of mouth. For this reason, you should try to keep your website’s name short. 2-3 syllables seem to be optimal, but definitely try to keep it under 6. Shorter domain names are also faster to type into the browser and they look nicer in online search results. Bottom line: Short brand and domain names seem to have an easier time becoming popular and catching on with users. Most of the world’s biggest brands have 2-3 syllable names, with very few having more than 5. It is very important that your domain name is easy to remember and type correctly. This will help your site gain traffic by spreading via word of mouth. As mentioned above, shorter names with relevant domain extensions (usually .com) are best. It’s also important to choose words that are easy to spell correctly. Be aware that people in different countries spell certain words differently. For example, some words are spelled differently in the US vs the UK. So, try to avoid words with different spelling based on region. One thing you can do is ask a few people you know to spell the domain name you have in mind before buying it. If a lot of people misspell it, then this indicates that many potential future visitors may never make it to a site with that name. Bottom Line: Domain names should be easy to type and remember. Choose words that have consistent spelling in different countries. Most of the big niches (like nutrition and investing) are going to be relevant for a very long time. But within these broad topics, there are a lot of trends that come and go. Some of them catch on and become permanent, but more often than not they are forgotten within a few years. For this reason, you should avoid choosing a domain name based on a recent popular trend, because you never know if it’s going to be relevant a few years from now. Instead, choose more general words and phrases that aren’t going to disappear from the language any time soon. Bottom Line: There are many short-term trends within the big online topic categories. It is a bad idea to choose a name related to those because you don’t know if they will still be relevant in a few years. A domain name should look trustworthy. For this reason, you should definitely not use hyphens or numbers in your domain name. Although there are some examples of sites that managed to become popular with hyphens or numbers in the domain name, this is very rare. Many experienced web users will see this as a red flag and be less likely to click on the site because it looks unprofessional. Bottom Line: It looks untrustworthy and unprofessional to have hyphens or numbers in a domain name. Many people will be suspicious of such a site. Another thing to avoid is buying a domain that looks very similar to another, more established website. Many people will see this as extremely untrustworthy as these types of sites are often used for nefarious purposes, such as tricking people into giving them their passwords or payment info. You could also get into legal trouble if your site’s name is too similar to another established website, brand or business. Bottom Line: It is a bad idea to choose a domain that is very similar to an established website or company. If you find a great and catchy domain name, then it’s possible that someone has already thought of it before. In some cases, this person or company may even have gone ahead and turned it into a registered trademark. You should definitely not build a site or brand around a name that is a registered trademark. This can get you in legal trouble and be misleading for your future site visitors. They may think that your site is representing another company or product. It is easy to search for registered trademarks in the US through this search feature at the US Patent and Trademark Office. If your site is intended for a non-US or a local audience, then you should be able to find a similar registry where you can look up a name to see if it is registered as a business or trademark. Bottom Line: Search the US Patent and Trademark Office or a corresponding local organization to make sure that your domain isn’t a registered trademark or established business. Chances are that you’re going to want to create social media profiles for your website. One problem to keep in mind is that the shortname for your site may already be taken. As an example, “searchfacts” was taken as a Twitter shortname so I ended up choosing “searchfact” (singular) for this site’s Twitter account. If you see that the shortname isn’t available on social media profiles then it isn’t a big deal. But it’s definitely something to be aware of if social media is going to be a big part of your online strategy. Bottom Line: Social media profiles can have their own URLs, but if they are already taken then you won’t be able to use them. Before picking a name for your domain or business, then you should do a thorough Google search for the name. Make sure that it isn’t a name that is associated with any bad practices, such as sounding similar to the name of a criminal or a product/service used to scam people. This could affect your trustworthiness, not only in the eyes of users but also in Google. The search engines actually use online reputation as a ranking factor, so negative talk about your name could harm your performance in the search results. Also, avoid names that are identical to the names of famous people or places. You don’t want to be competing with Wikipedia or Google News when trying to rank for your own site’s name. Bottom Line: Do a thorough Google search for your domain name to make sure that it isn’t associated with anything bad. Avoid names that are identical to the names of famous people or places. Did you know that you can easily see how almost any website looked in the past? You can do this with a tool called the Wayback Machine, which stores historical copies of different websites. Currently, they have 351 billion web pages stored in their index. Try typing the domain in there to see if it used to have content in the past. If it was previously used for something then it usually isn’t a big deal. But if you see something very spammy or untrustworthy then it may be a good idea to choose another domain instead. Bottom Line: You should check your domain’s history in the Wayback Machine to see if the domain used to have content in the past. If your domain used to be active recently, then it may still have pages indexed in Google. To check for this, type “site:yoursitename.com” into Google, without the quotes. If you see pages there, then you may end up with crawling issues for the domain. These could take some time for Googlebot to sort through, possibly many months. Also, check the titles of these indexed pages. If they have spammy titles then it may be better to look for another domain. Bottom Line: Check if there are pages for the domain that are indexed in Google. If there are indexed pages then you could have crawling issues for the first few months. Having a lot of low-quality links can harm a site’s SEO performance. Although Google says that they ignore bad links when a new person acquires an expired domain, it is still a good idea to check if there are a lot of bad links pointing to it. I don’t know of any good free tool to check links, but you can do this with a free 7-day trial to SEMRush. Just sign up for the trial and then enter the domain to find information about it. The Backlink Analysis tool shows you the links pointing to the domain and the Backlink Audit tool can help you determine whether these links are low-quality or not. If your domain has a lot of bad links, then this may not be the right domain for you to buy. Bottom Line: Having a lot of low-quality links can hurt the domain’s SEO performance. You can use tools to check for bad links pointing to a domain. It can be really hard to come up with a great domain name, especially if you are trying to find a .com domain. One thing I always do before starting a new site is to create a text document and brainstorm all sorts of different name ideas. I might write 20, 50 or even a 100 different names before typing them into NameCheap to see which ones are available. At the end of the day, choosing a great domain name is one of the most important things you can do to ensure the ultimate success of your website and business. If you go through the list above, then you should be able to find an amazing domain name that isn’t going to suffer because of bad history.